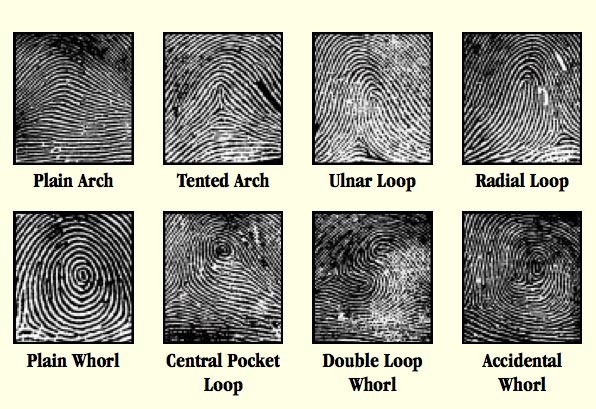 Fingerprints became an important identification of criminals in a criminal investigation when a book written by Sir Francis Galton from England titled “Fingerprints” was published in 1892. It has been discovered that the earliest known fingerprints were used by the Chinese in the 700s for identification purposes to establish identity of documents on clay tablets. In 1924 by the act of congress, the Identification Division of the F.B.I. was established and consolidated fingerprint files. By 1946, the F.B.I. had processed over 100 million fingerprint cards. These cards were maintained manually and by 1971 had doubled. It was not until the mid 1980s that the Automated Fingerprint Identification System was established (AFIS). Fingerprints play an extremely important role in crime scene investigations. Fingerprints are considered to be an infallible means of identification. No two fingerprints are exactly alike. However, since fingerprints are extremely valuable, they are also an extremely fragile pieces of evidence. In crime scene evidence recovery, it is essential that fingerprints be located, processed, and recovered first. In this last century, a high profile case such as the assassination of President John F. Kennedy benefited from this procedure; a palm print was discovered underneath the stock of the Mannlicher-Carcano rifle that belonged to Lee Harvey Oswald. In another high profile case, the assassination of Dr. Martin Luther King Jr., the crime lab made an important discovery of latent fingerprints on the rifle found to belong to James Earl Ray. In 1684, Marcello Malighi, a professor of anatomy from the University of Bologna, took note of the ridges, spirals, and loops in the fingerprints. It was not until 1904 did the United States began the use of fingerprints as identification in the Leavenworth Federal Penitentiary in Kansas. It seems amazing that a hundred years passed until fingerprints began to be used to identify criminals. Every human being has friction ridges located on the hands and feet. These friction ridges have a specific detail on the gripping surfaces with an enhanced quantity of nerves and pores. These tiny raised peaks and valleys are located on the tips of the fingers along with sweat pores. This gripping skin has been described as similar to the tread of an automobile tire. The friction skin has a structured dermis layer with the friction layer of skin that includes the sweat pores. There are extra pores that remain moist and help the skin to remain soft and pliable, which presents better frictional characteristics of the print. This entry was posted in crime, Forensic and tagged author jennifer chase, compulsion, crime scene, dead game, evidence, fingerprints. Bookmark the permalink. Excellent post about fingerprints, Jennifer! 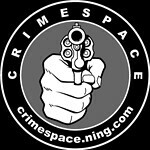 Sharing on my FB page for other crime writers. Thanks! Thanks to this page. Now I complete my assignments 🙂 Im a criminology student.